A must-have for dogs – The sniffstar, the new highlight for experienced scenter! 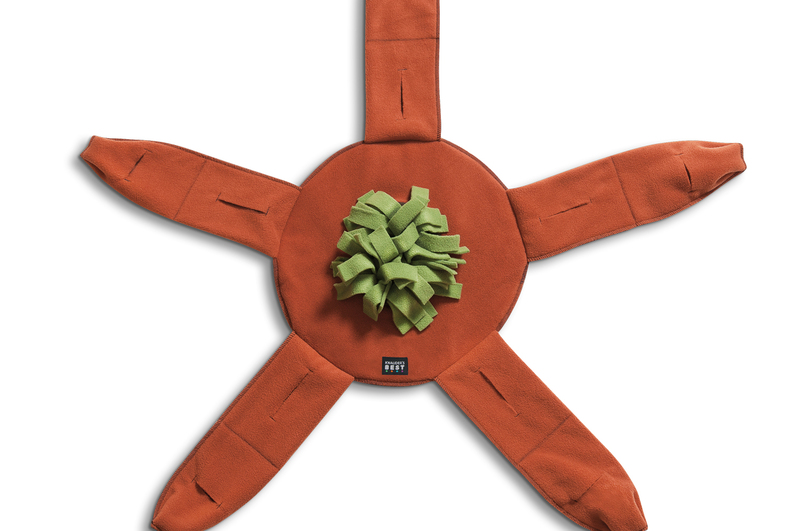 The stiffstar (EU Design 003013150-0001) is something you can really give a good shake! 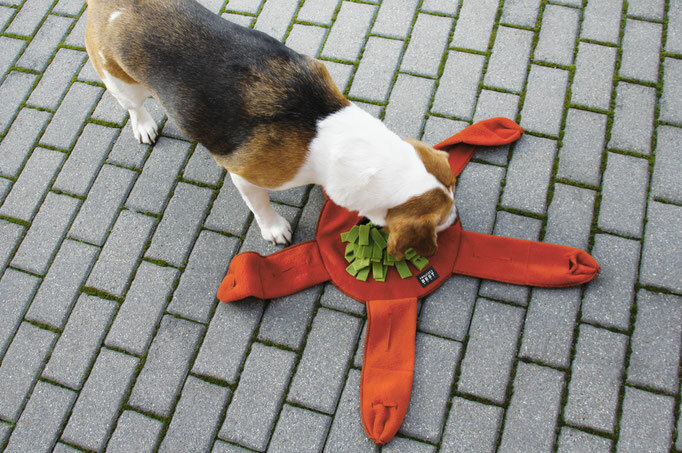 Cunningly hidden pockets and pouches prevent treats from falling out. 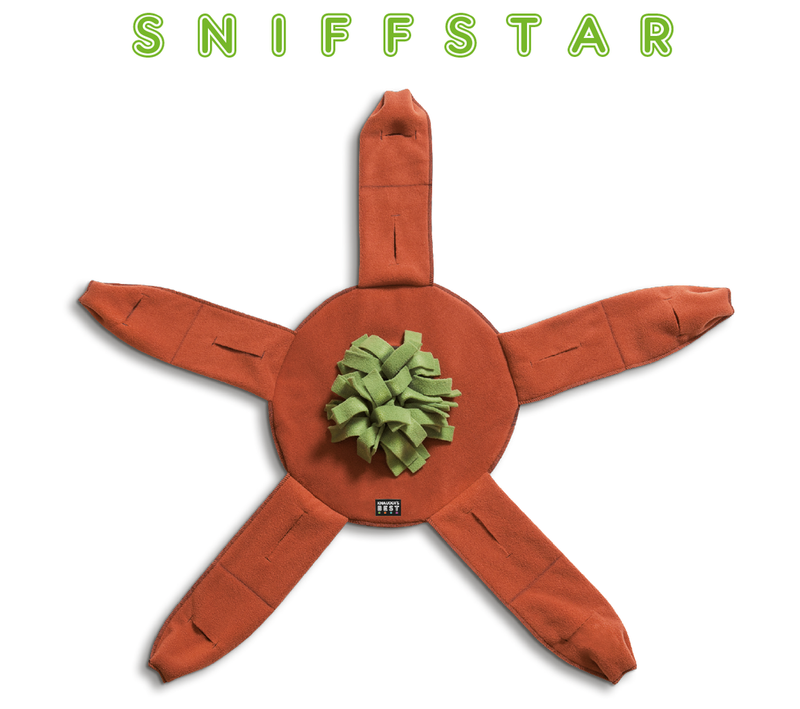 This makes the sniffstar a unique tool for any dog training session. 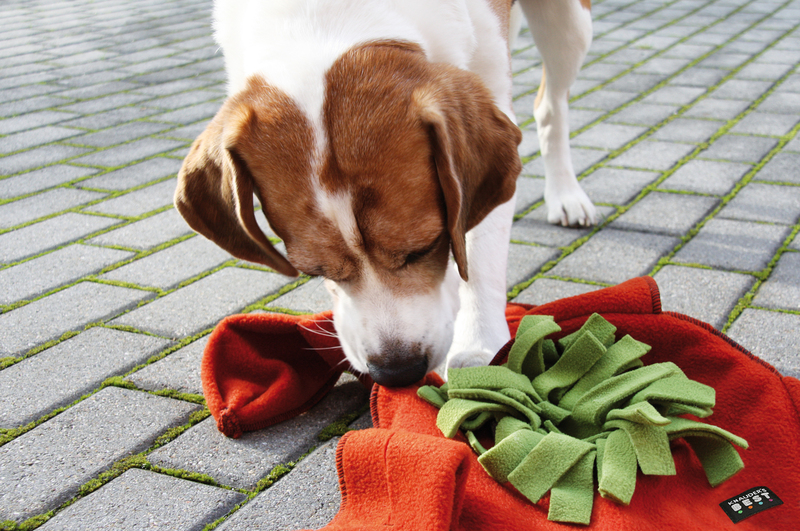 The additional effort required in using the sniffstar reward system has been proven to increase skill developments in pets. 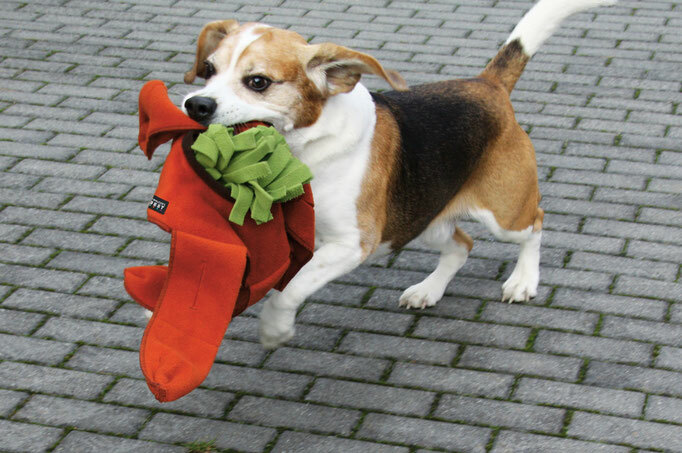 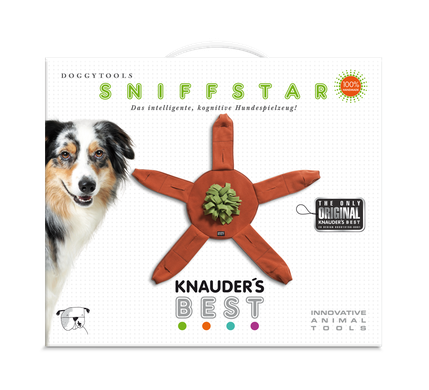 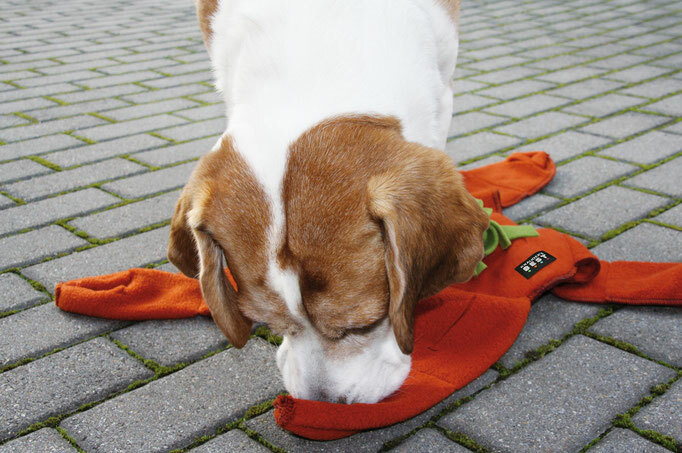 KNAUDER´S BEST sniffstar requires significant and mutual effort and understanding between the owner and his pet. 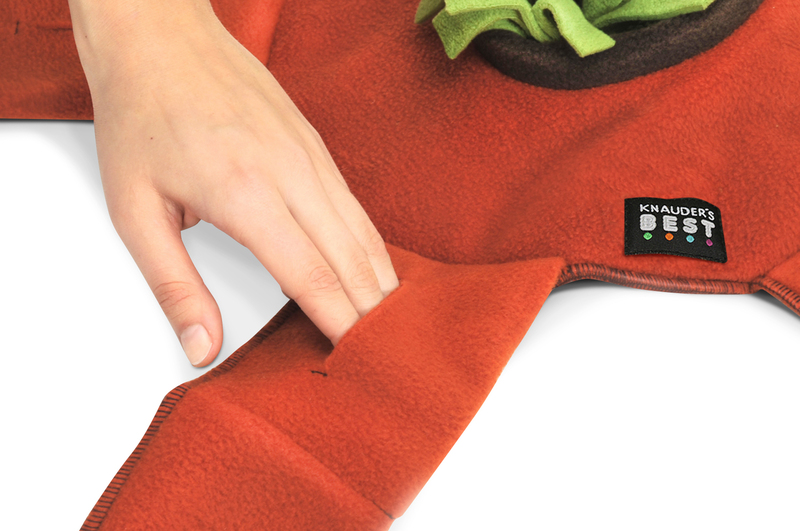 The unique design requires an increased level of trust and interaction not seen in any other products on the market. Searching for treats in the movable “arms” represents a real challenge for your four-legged friend. 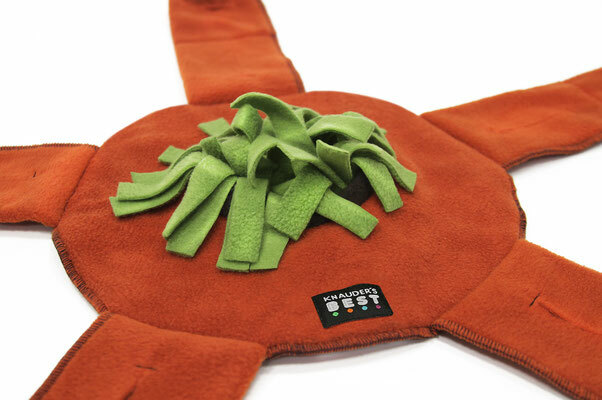 This gives your shared interaction even greater meaning, and the bond of friendship and trust is strengthened significantly. 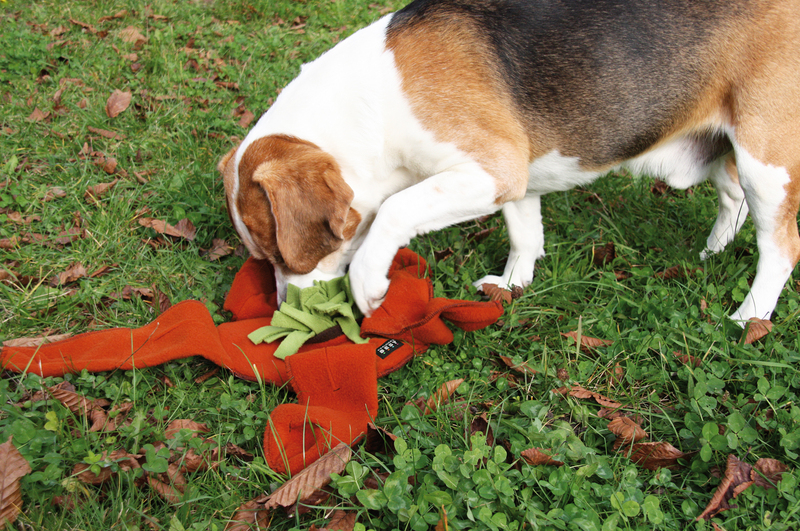 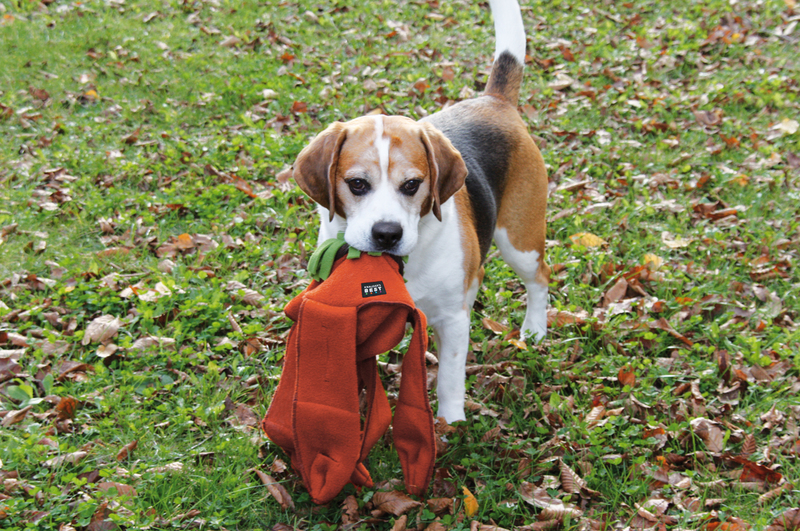 The sniffstar´s easy-care design is also perfect for outdoor use, making it highly valuable for dog training and sports purposes. 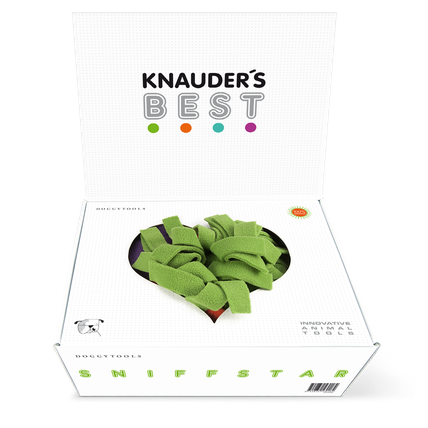 As with all our products here at KNAUDER´S BEST, it goes without saying that only the highest quality materials are used in the production of the sniffstar, guaranteeing durability and efficiency. The highly flexible fabrics and reinforced seems ensure an effective and long lasting training experience to be enjoyed by both the trainer and dog. 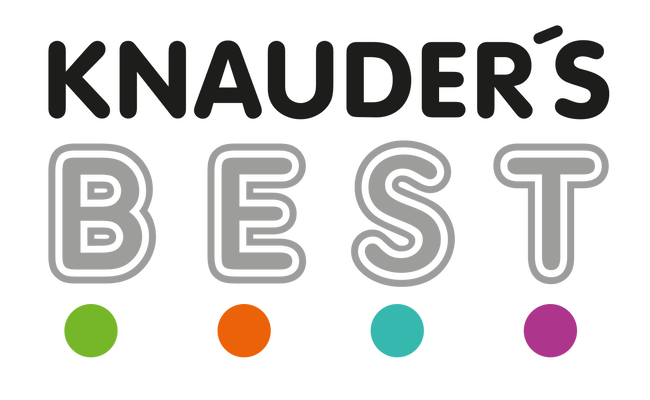 All our products at KNAUDER´s BEST have been explicitly recommended by experts and our experienced quality control department ensures that all products are carefully executed and tailored to the needs of your little companion.